What is the Chevra Kadisha? Just as we don’t rely upon outside professionals to visit the sick and comfort the bereaved in our community, we believe that those who die in our community should be cared for by members of our community and not by strangers, at the sacred and vulnerable time of death. For centuries, every Jewish community maintained its own Chevra Kadisha—a sacred fellowship whose members lovingly cleanse, dress, lay out and watch over the bodies of the dead until burial. In cooperation with our Cemetery Committee, Beth Israel currently maintains the only Chevra Kadisha in Mississippi under egalitarian Jewish auspices. Our Chevra Kadisha volunteers are on call to fulfill the imperatives of Chesed shel emet (true kindness, or kindness at the moment of truth) for Jews and their immediate relatives who die in our community. Sh’mirah (vigil-keeping) volunteers—men, women, and teenagers—sit for two-hour shifts around the clock. Taharah (cleansing and dressing) is performed by a small group of volunteers—women for women, and men for men—under the guidance of an experienced team leader. Our Chevra Kadisha needs you. As our community grows, so does our need to stay connected. Our Chevra Kadisha continues to welcome additional members to our ranks for both sh’mirah and taharah. The only prerequisite is a willingness to be respectful and cooperative in the presence of the dead. To learn more and receive information about educational programs, please contact us. If you’re already receiving Chevra Kadisha notifications, try to show up whenever you can even if it’s for someone you don’t know, or don’t know well. DONATE. Your donations will benefit Jewish families during their time of greatest need. A Taste of Gamliel: Walking in the Valley of the Shadow…and not being afraid. This program was presented over a three-year period in synagogues and community centers throughout the Bay Area in northern California. The staff of the Gamliel Institute is presenting it as part of the “Taste of Gamliel” program. There are five sessions, made possible by The Nutik Zitter Family Philanthropic Fund of the Jewish Community Foundation of the East Bay. The first begins Sunday 27 JAN at 7 p.m. Central Time on Zoom. Registration is required and a donation of $36 is appreciated. After you register you will be sent a link to the Zoom meeting. Getting Prepared Talking with your children/spouse/partner about end of life wishes; funeral planning; choosing a cemetery and picking a plot; interfaith families, and much more. Dying/Death/Burial: What Jews Do The many faces of vidui, dying and Jewish Law, performing taharah; Sh’mirah: why are we still doing this? The funeral, cremation, and much more. The Art of Comfort Visiting the sick, Jewish wisdom on visiting the sick; Who are the mourners? Consoling the mourners; the gift of Shiva; making a Shiva call, and much more. Mourning and Grief: After the Death Why Shloshim? Kaddish basics; customs of the first year; when does grief end? And much more. Your Life is Over: Where is Your Soul? What is the soul? Do I fear death? The what’s and why’s of resurrection; have I lived a good life? And much more. Please check the Beth Israel event calendar and weekly BIC Blast for upcoming Chevra Kadisha learning opportunities. 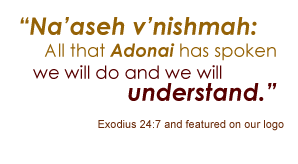 Why is the Chevra Kadisha so important? Death is part of life. In times of illness and loss, our Jewish imperatives of kindness call us to show up and care for each other, regardless of our social connections or professional credentials. We have found that the Chevra Kadisha provides comfort for those who grieve, enriches the lives of those who serve, and strengthens our Jewish community. Doesn’t the funeral home take care of everything? No. However, upon request, either Parkway Funeral Home or Sebrell Funeral Home will transport the deceased, provide a place for the Chevra Kadisha to perform its service, and accommodate the shomrim (guardians). If I volunteer, how often will I be called? We understand that, when you are on call, you can only be available when you are available. That’s why we always welcome new volunteers, since we never know who will be available when the next time of need will arise. We may go for a year or more without a mobilization, or we may find ourselves mobilizing twice in the span of a month—for an overnight, or for 2-3 days before a funeral. If you sign up, you will be asked to specify any limits on your availability, including how early and how late you can be called. You decide. What if I have young children at home? Several of our Chevra Kadisha volunteers are parents of young children and take turns looking after their children during a mobilization. We have found that young children are respectfully curious about their parents’ involvement in this kind of effort. Encouraging their questions as part of a family dialogue helps ensure that the values of caring for our own at death will be reclaimed and passed on to the next generation. If you would like to learn more and receive information about educational programs, please contact us.